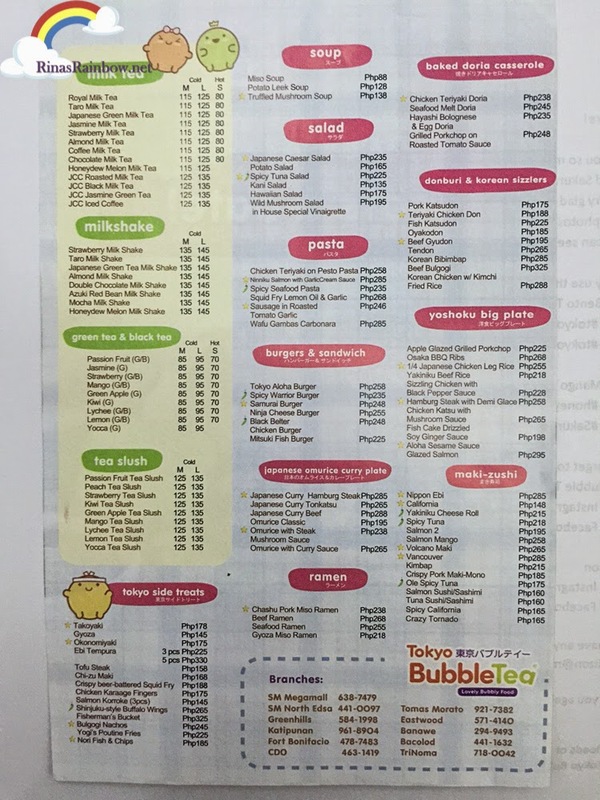 Rina's Rainbow: Tokyo Bubble Tea's Special Sakura Menu! 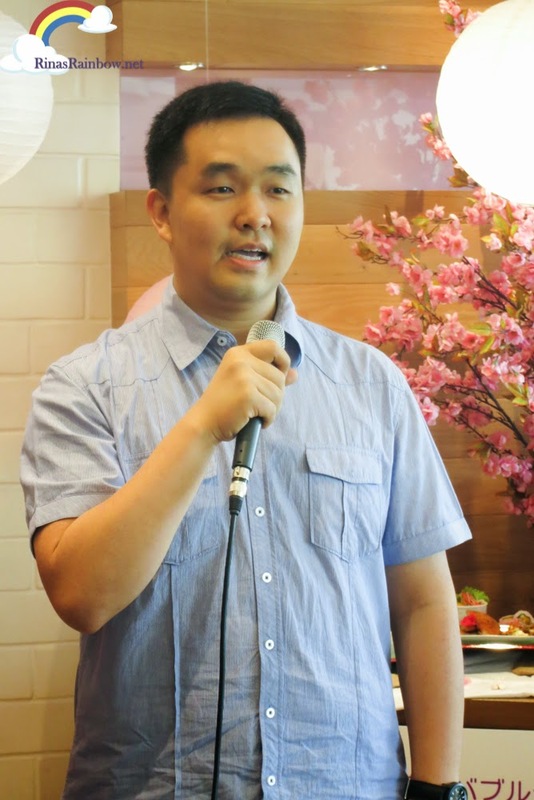 There has been a boom in the milk tea industry here in the Philippines, as you all know. It's probably because of our hot weather that we like indulging ourselves with cold drink treats, (and I guess because of the Filipino's fondness for sago), that it has really skyrocketed to great heights. 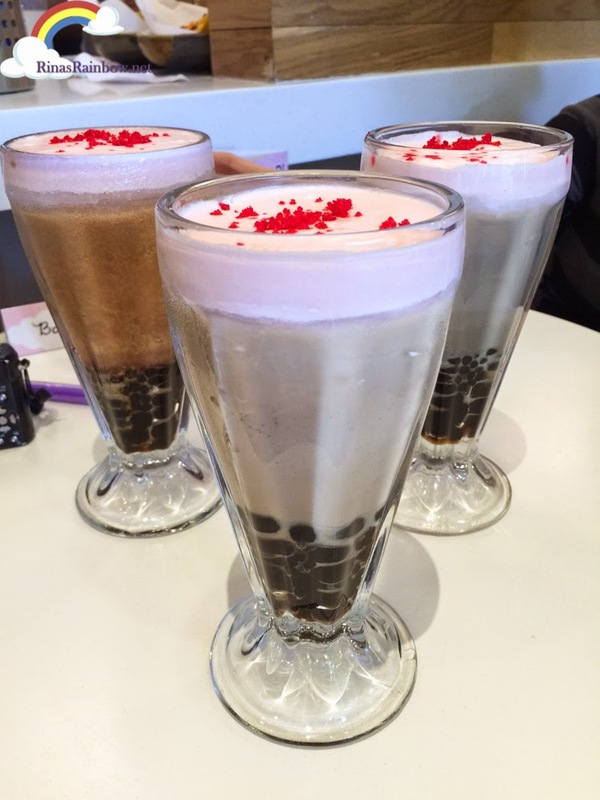 Because of this, lots of famous Milk tea brands have been popping up left and right. 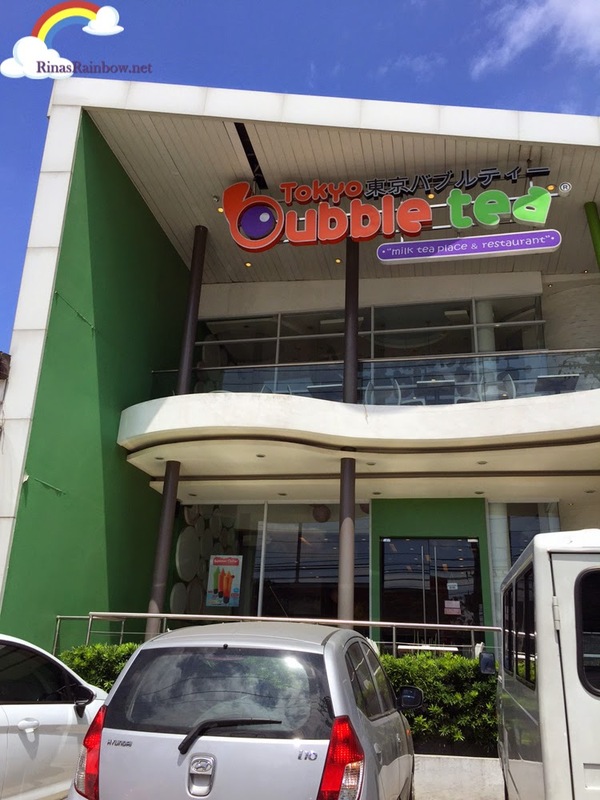 But what I recently found out is that one of the big Milk tea establishments, Tokyo Bubble Tea, offers so so much more than just a milk tea. 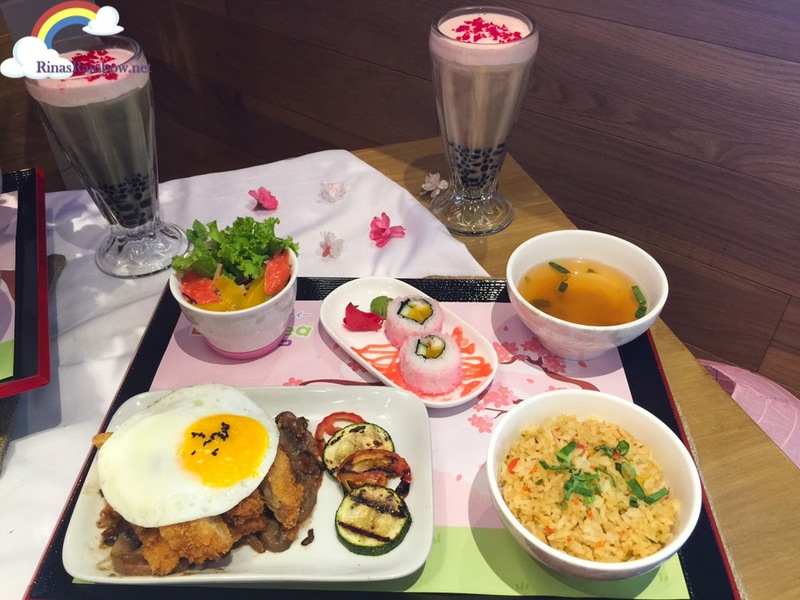 And to add to this feast of a menu, they are introducing yet another set of meals that really have amazing value for your money, plus three new milk tea drinks, all in celebration of the breathtaking Sakura season! 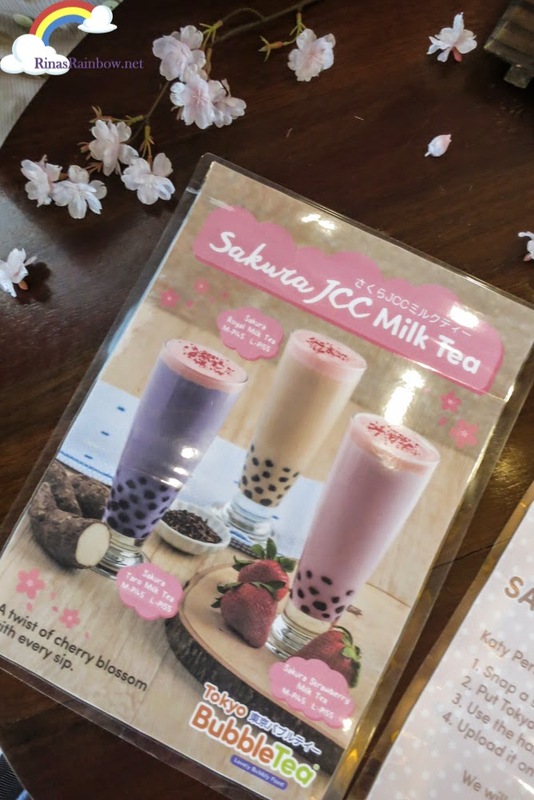 Feel like you're in Japan with these Sakura JCC Milk Teas! They come in 3 variants. 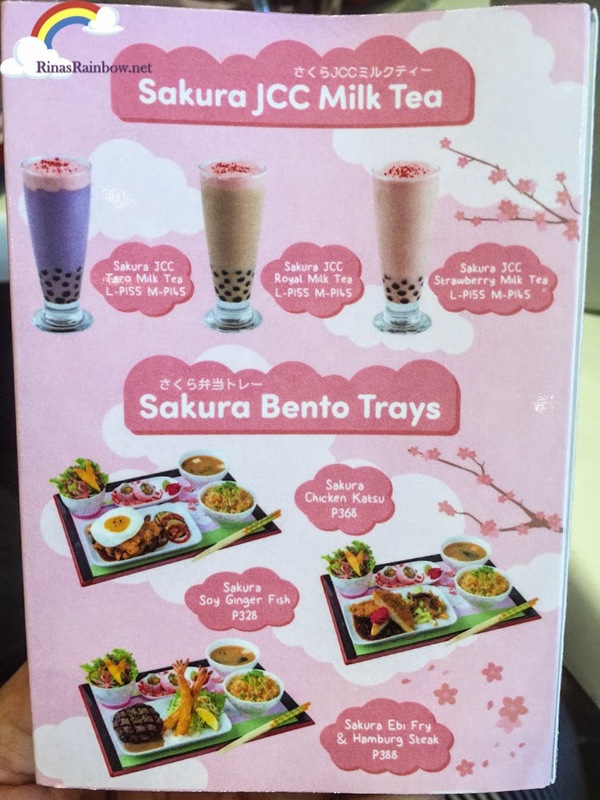 The Sakura Strawberry Milk Tea, Sakura Royal Milk Tea, and the Sakura Taro Milk Tea! Prices of all three flavors: Large P155, Medium P145. 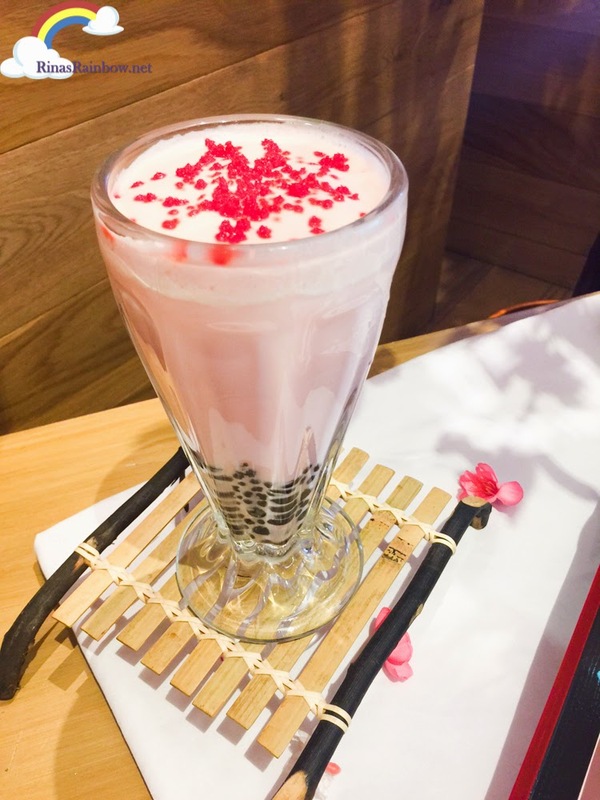 I ordered the Sakura Royal Milk Tea. (I always go for the original milk tea flavor. It's my favorite!). See this top part? This is unlike anything I've ever tried before, texture-wise specifically. 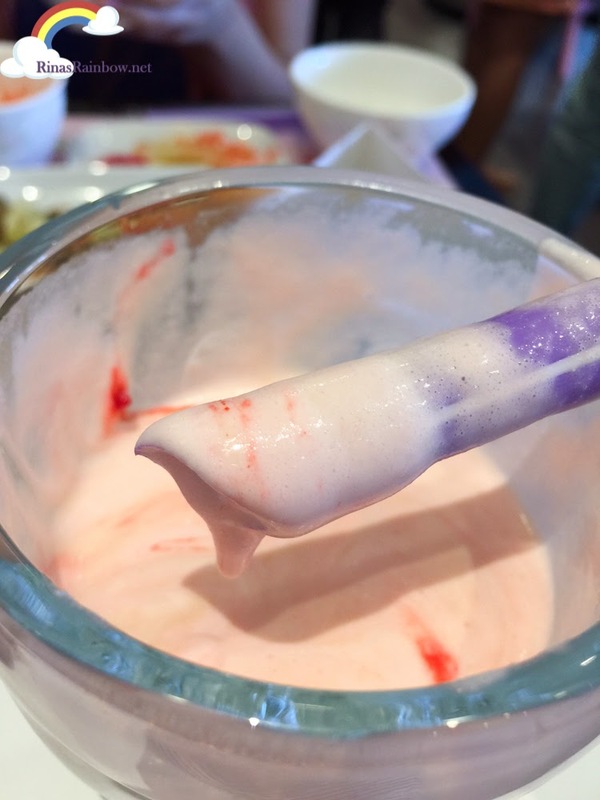 The texture is somewhere in between the thickness of a cake icing, and the smoothness of a whipped cream. That's the best way I could explain it. 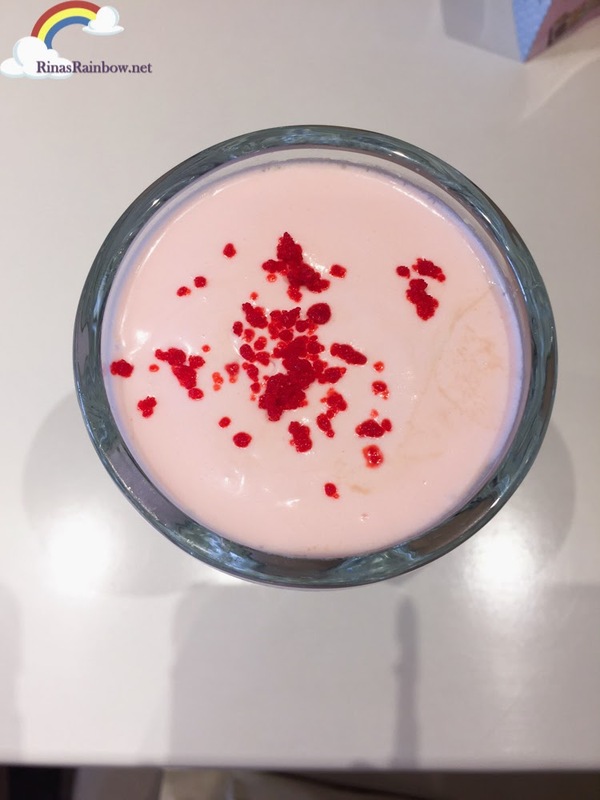 Then it has a subtle sweetness and a subtle saltiness taste. So addicting! It was so addicting that I caught myself scooping up the JCC with my big straw and stuffing it in my mouth. Oh, and did I mention that JCC stands for JAPANESE CREAM CHEESE! Need I say more? 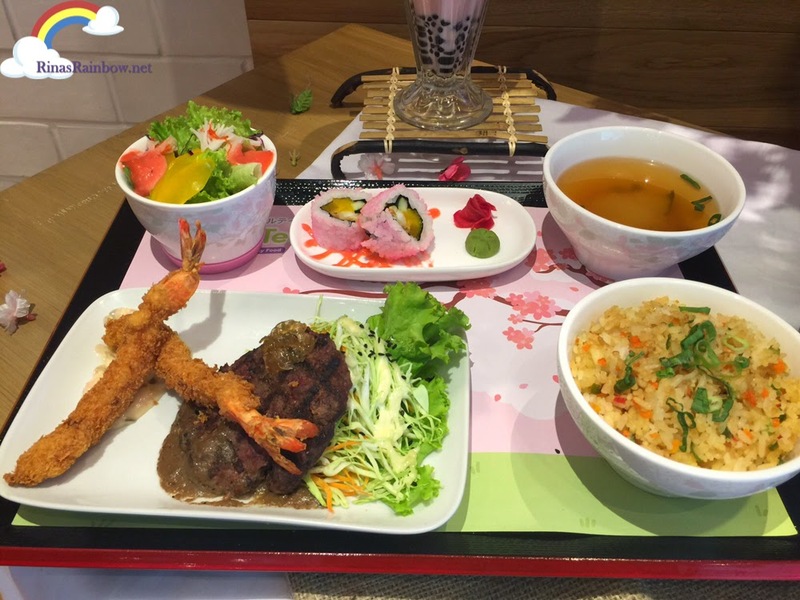 And finally, my order, the Sakura Ebi Furai with Hamburg (P388)! With all the inclusions in this set, it's really a great value for money! 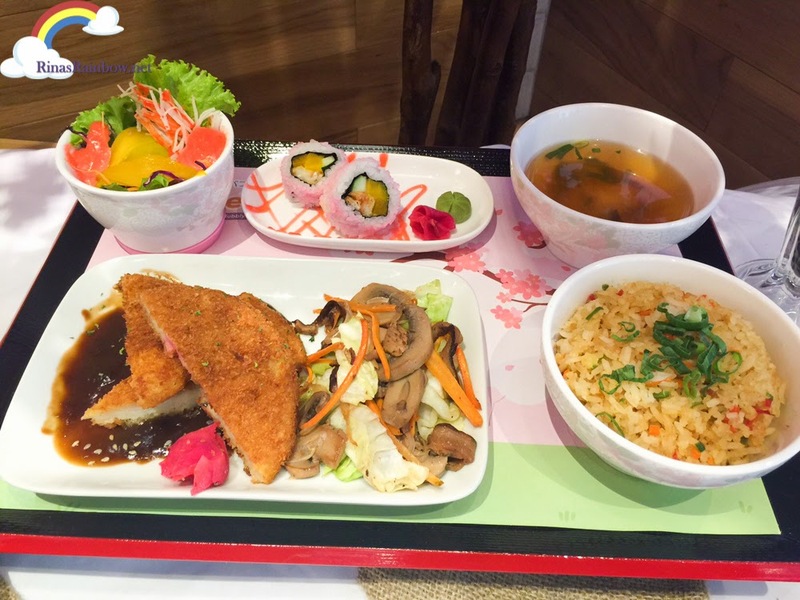 Aside from the main dish, I also especially enjoyed the Sakura Maki and the fried rice! 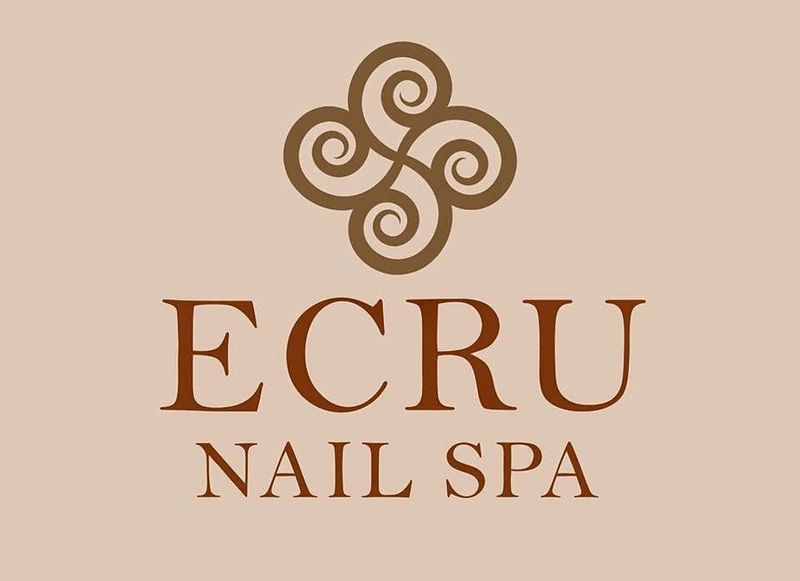 Here's another fun surprise! Order your choice of Sakura Bento along with a Sakura JCC Bubble drink (which all go well together by the way), and you will get to pick a prize from their special Sakura tree and get a chance to win super cute Tokyo Bubble Tea Merchandise, just like this cuddly plush doll and adorable shirt which Rain has already sequestered from me. 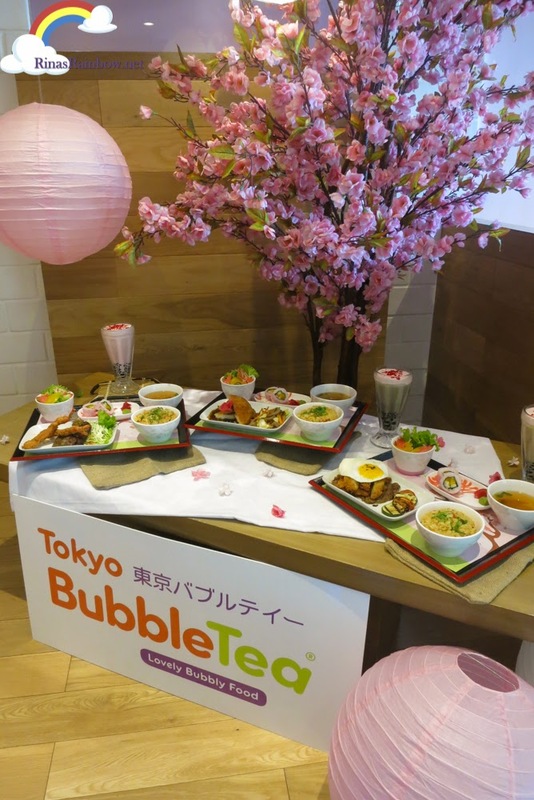 And you can also win Tokyo Bubble Tea vouchers of course! 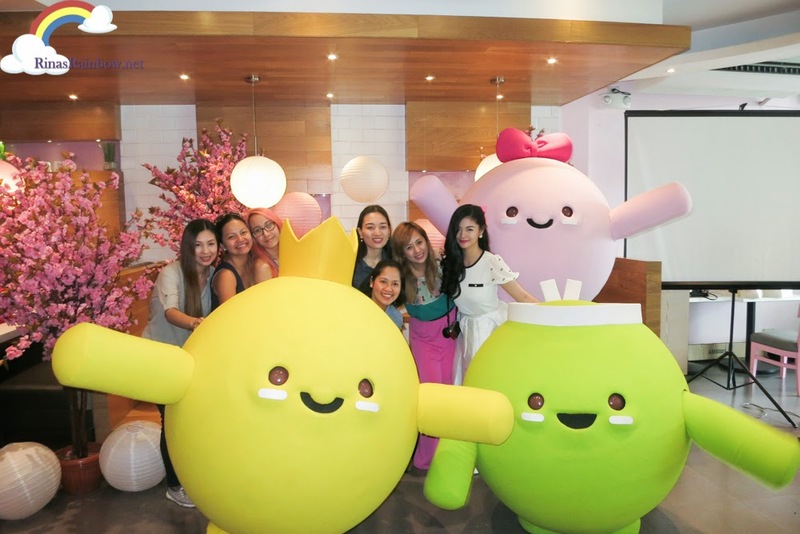 If you've been to the Tokyo Bubble Tea branch in Katipunan, you'll notice that the first floor is shared with Honeybon Patisserie and Cafe, which is also owned by Tokyo Bubble Tea's Mr. Reagan Tan. 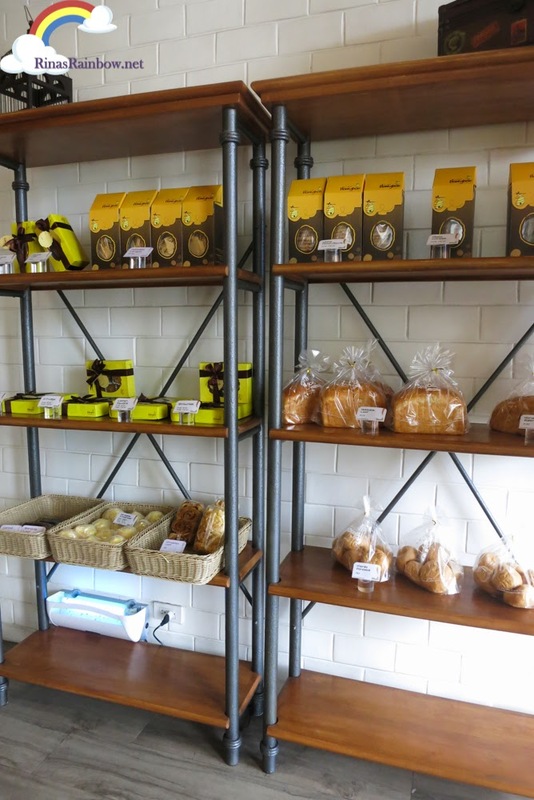 Honeybon is a Japanese-inspired pastry shop. 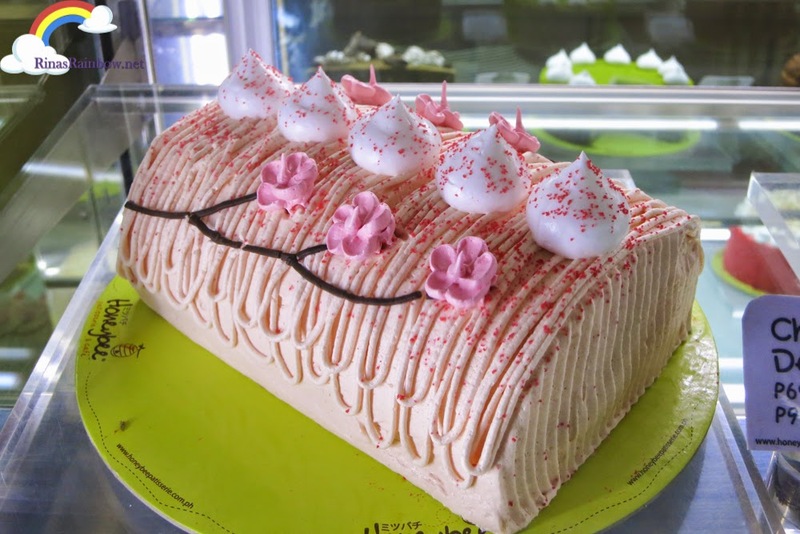 Because they are in the same building and are in the same floor, you can have an even more delicious way of completing your meal as you order your sweet endings from Honeybon's beautiful collection of cakes. Seriously. They're all very beautiful! Each cake looks like it was intricately made. ...with a refreshing and cold mango center. 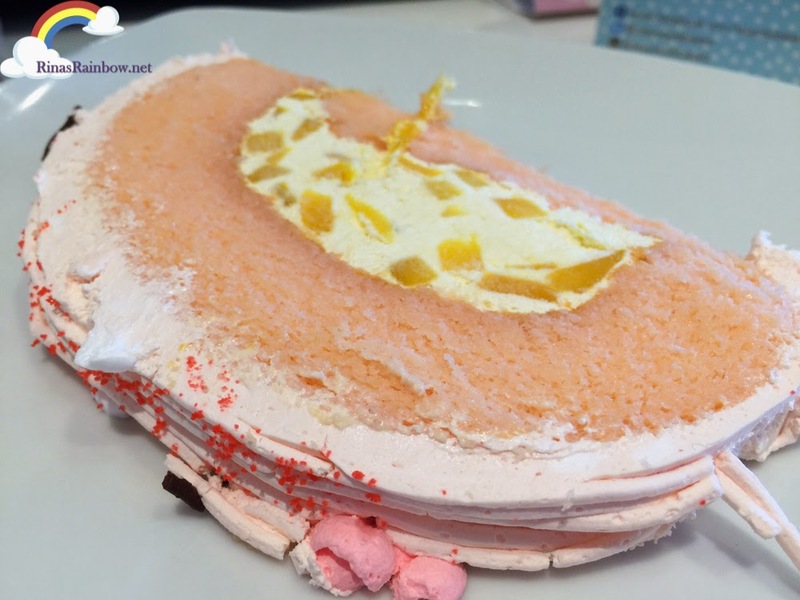 The cake is very light and refreshing. I'd go back for more of this. 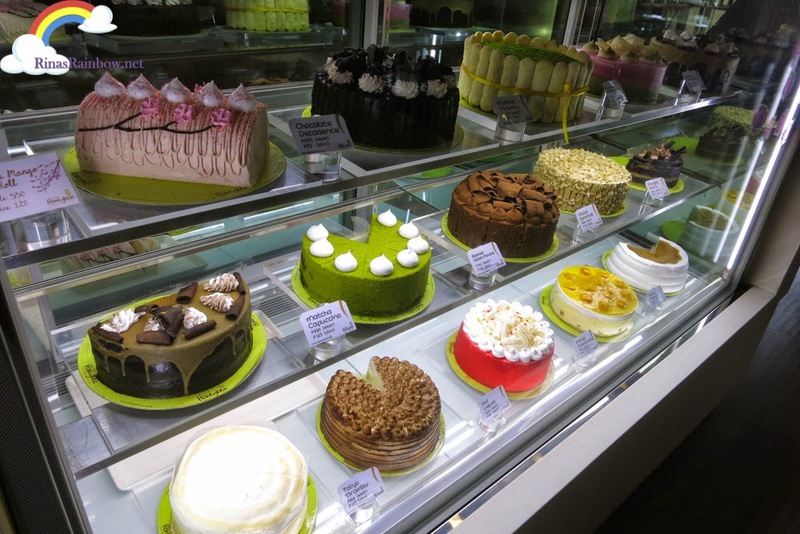 One whole is P550, and a slice is P120. (FYI: The size of the actual serving is 2 times thicker than what was served during the launch in my photo above). During the event, we all got to meet The Bubblets! 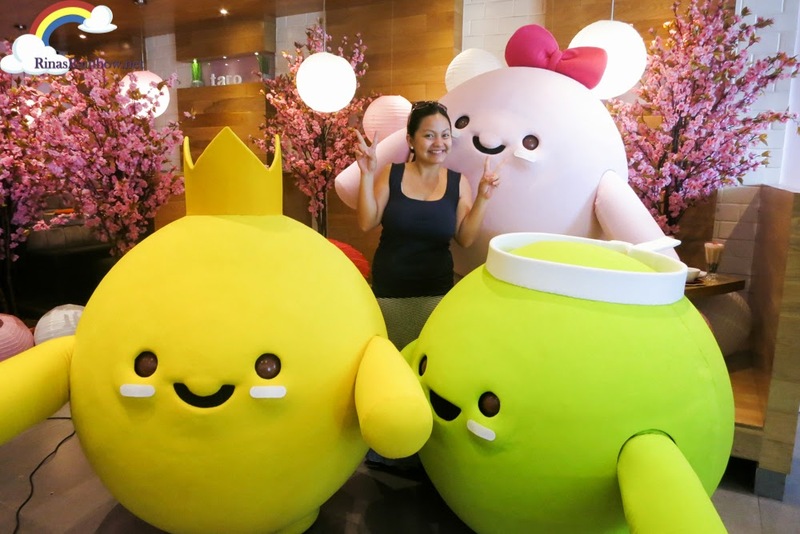 These cute and adorable haracters are Tokyo Bubble Tea's very own. Meet the loving and sweet Sakura. She's the girl bubblet with a pink bow who's just plainly adorable. Midori on the other hand is the mischievous, adventurous, and playful green bubblet. 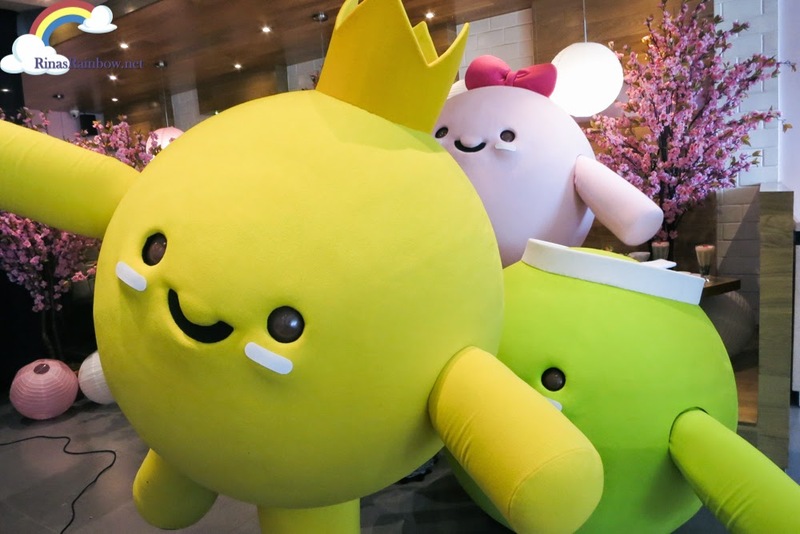 And last but not the least, Ichiban, the little yellow bubblet prince wearing a crown. He might freak out a little if things don't go as planned, but he does enjoy all of the adventures they all have together. 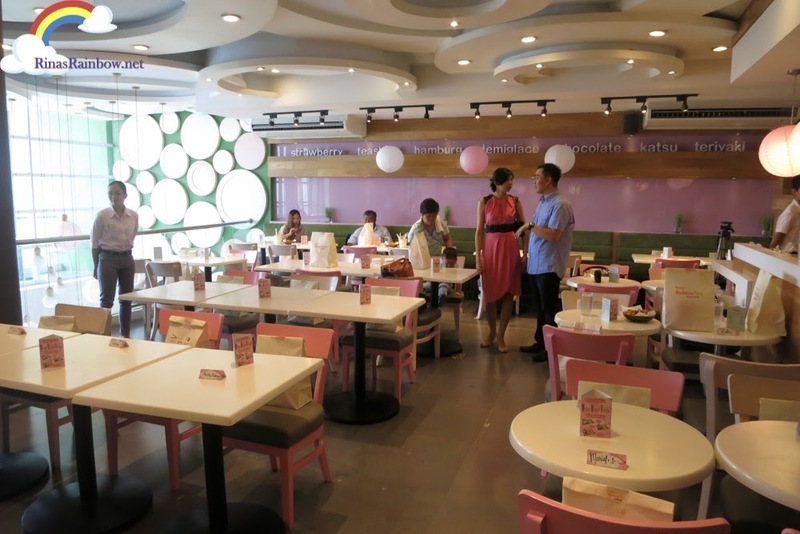 2nd floor of the Tokyo Bubble Tea in Katipunan. Great for small functions! 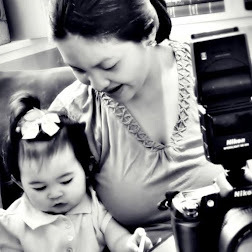 Lifestyle / Food bloggers with the Bubblets! 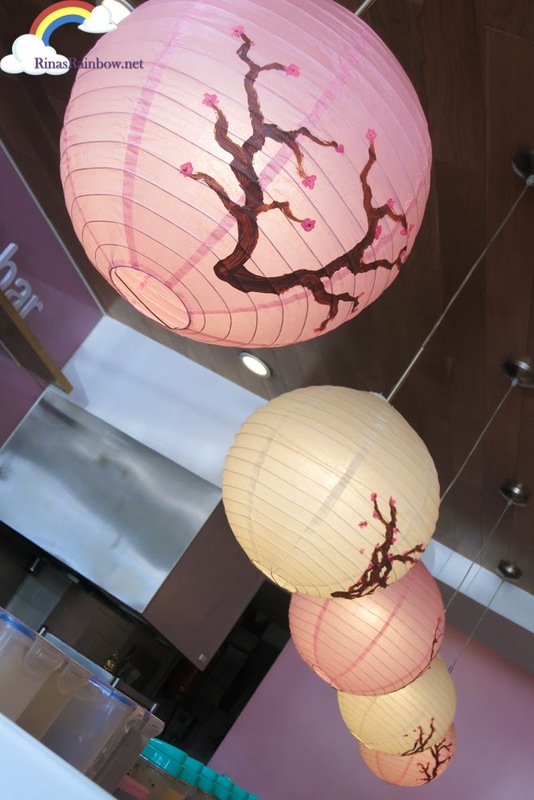 I like Tokyo Bubble Tea, with all the cute little details and yummy Japanese food!